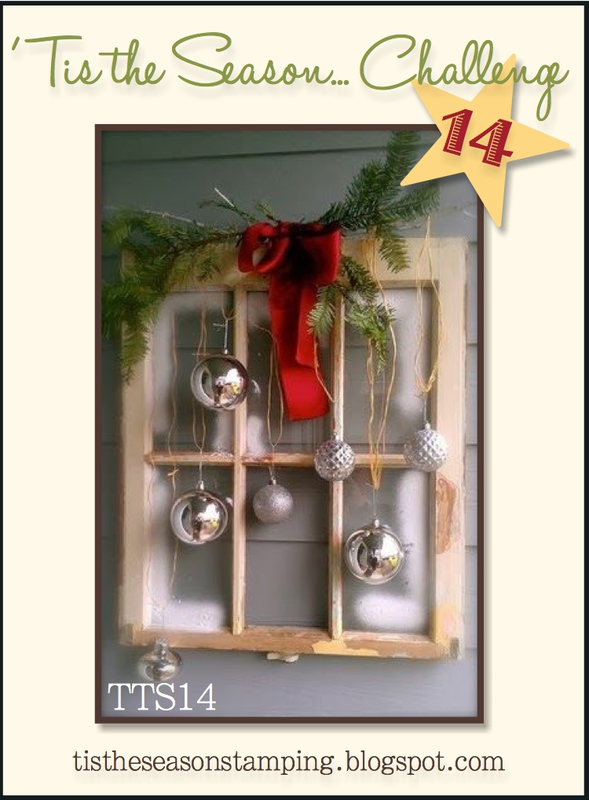 It's time for another challenge at 'Tis The Season and this week we have a great inspiration photo. I just love this photo! It really reminds me of growing up in New England and all the beautiful wreaths and such you would find on windows at Christmas. I've lived all over the US and I've never seen a region decorate windows at Christmas like New England does. Since an image of a wreath is the first thing that popped to mind when I saw this photo that's what I decided to do as the focus of my card. 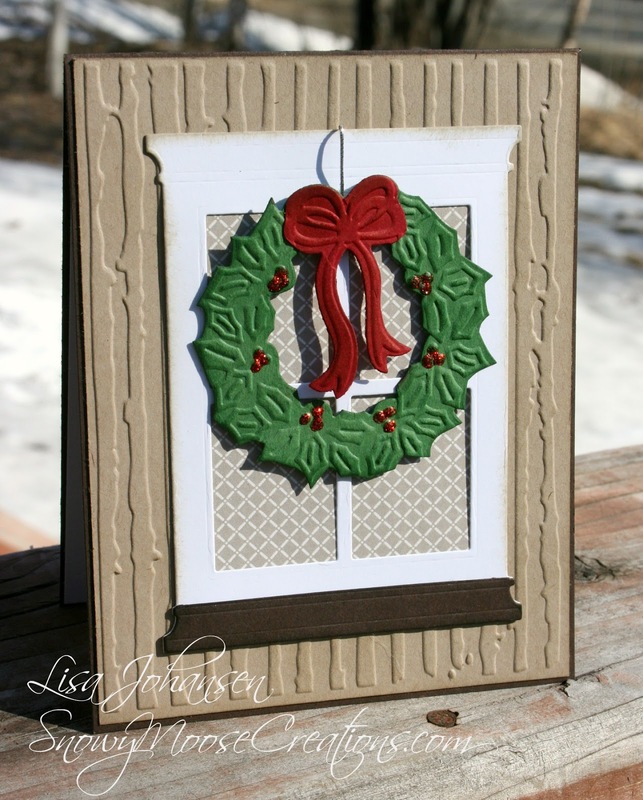 I used the Grand Madison Window die from Poppystamps and the wreath is a die/embossing set from Cuttlebug. The background is embossed with the Distressed Stripes folder from Cuttlebug to give it the look of a wood cabin or home. I hope you'll come by 'Tis The Season and play along with us, we'd love to see your interpretation of this photo!